GRAFFITI BLACKBOOK SKETCH - ITS WEEKEND AGAIN! Hey guys, long time no update so I'll present something new to you.. As I've may already told, I am on my graphic design internship for the following 6 months. I'm working at The Meesteren Foundation, and they are restyling / re-organising big time! And that means there's much work to do. The organisation is subdivided in about 20 different divisions, with all their own color within the same logo. The 'Legal' department has purple as the main color choice, and we've restyled the whole business card. Also there was a logo needed for other websites, corporations and brands, to show that they are a partner of The Meesteren Foundation. I thought back to the roots while designing this logo; The first building they have ever rented was Pakhuis Meesteren, at de Kop van Zuid, in Rotterdam. When you remember Bombaclad, you remember The Meesteren Foundation. The awesome impression that party gave me is something I'll never forget, so I decided to design a tight and simplified storage house, with two storage boxes on top. 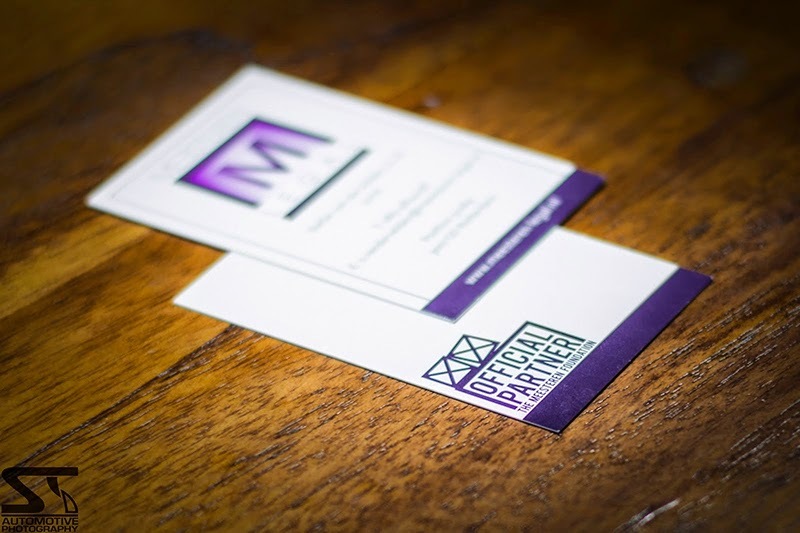 The logo is executed & printed in only one color, so we could send them to partners in every color they prefer; on the Legal business card the preferred color is purple. More to come! Pictures by ST Photography. EDIT: the website is now online!